Is Shepard Smith Gay, Who Is The Boyfriend, What Is His Net Worth? 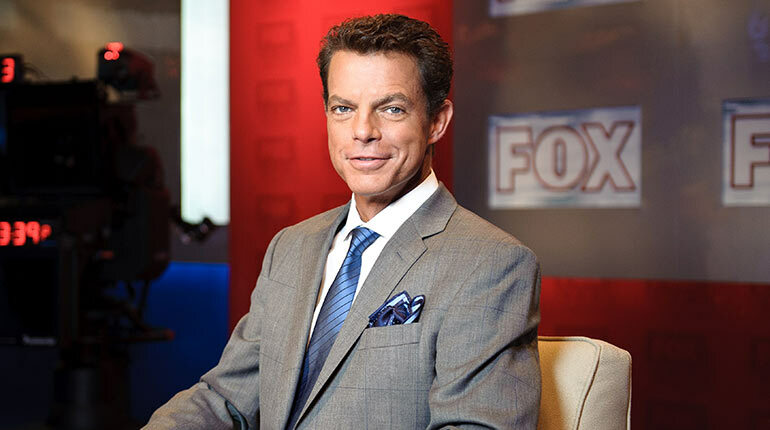 There are only a few media personalities who are as bold and confident as Shepard Smith. Apart from his impressive stint at Fox News Channel which includes but not limited to his classic news delivery, upfront stance on virtually every issue and much more; he loves his job as much as he loves his personality. Smith belongs to the group of journalist who built Fox Broadcasting Company from the very beginning and also calls it home. He is much-loved by American viewers and commands an immense respect for his superlative skills within and outside the newsroom. While many people know Shepard as Fox News go-to journalist and news anchor, only a few people actually know him away from the cameras, thus the purpose of this writing. Here’s everything you need to know about the top-notch media personality. The famed journalist was born in the county seat of Marshall County, Holly Springs, which is situated in Mississippi. After his birth on January 14, 1964, his parents named him David Shepard Smith Jr. but he rose to prominence bearing Shepard Smith. Shep, as he is fondly called, was born to a mother who is an English teacher and a father who deals on cotton. Their names are Dora Ellen Anderson and David Shepard Smith Sr. The two, however, got separated before Shepard finished his high school education as a senior student. This led the journalist, his siblings, and his mom to relocate to Florida, where the media personality eventually graduated from high school. Shortly after his graduation from high school, the journalist was offered an admission into the University of Mississippi to study journalism. To date, he still visits his alma mater and has been very helpful in pushing the institution to the forefront. Smith landed his first on-screen job in the year 1986 as a reporter for Panama City Beach-based media company, WJGH-TV. After a successful stint at the company, he left to work as a reporter for WBBH-TV, which is based in Fort Myers. He was then employed either as a reporter or an anchor in big cities like Los Angeles, Orlando, Miami and later, New York City where he joined Fox News Channel as a pioneer staff. Shepard is well known for covering a slew of high-profile events around the world. He is famed for reporting the obsequies of Princess of Wales and former member of the Royal family, Diana Frances Spencer, popularly known as Diana in 1997; covering the controversial Florida ballot counting in the year 2000; the execution of American domestic tourist Timothy James McVeigh in 2001, and much more. 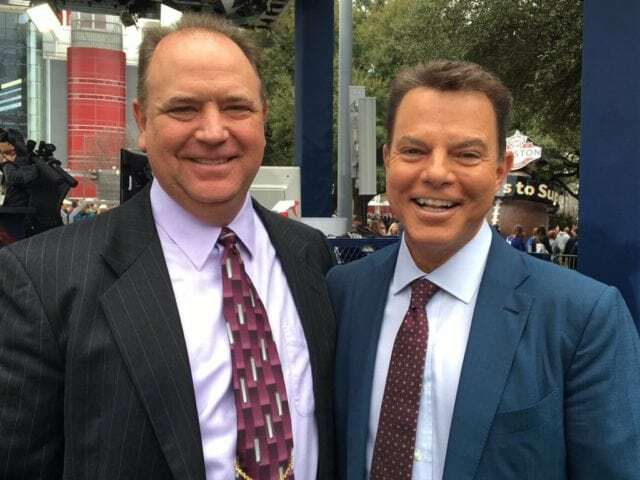 Is Shepard Smith Gay, Who’s His Boyfriend? One of the world’s most trusted and objective television personalities, Shepard Smith has been in the spotlight for a good number of years due to his outstanding performance in his profession. He, however, received a wider attention sometime in March 2018 when he publicly came out as gay. An assertive Smith disclosed that he has been in love with his sweetheart for over 6 years and that he has never hidden his sexuality from the beginning but prefers staying away from the subject. The veteran journalist who declined to name his beau said he feels happier around his boyfriend and loves spending time with him after work. Smith also visits his boyfriend’s family and appears to be very much in love with him. Prior to his coming out, the television star was married to Virginia Donald, a beautiful young woman he met while in the university. The duo tied the knot in 1987 and ended their marital relationship in the year 1993. Their 6-year stormy relationship didn’t produce any child. As mentioned earlier, Smith is currently in a flourishing relationship with his boyfriend but the identity of his lover is not known to the public. Likewise, a detailed profile of the journalist’s partner, including his origin, ethnicity, educational background, early life, and profession is yet to be publicized and this makes it difficult to tell who he is or where he lives. Shepard Smith belongs to the class of television elites who are heavily paid for their on-screen roles. The Holly Spring native, according to report, boasts a yearly salary that ranges from $7 to $8 million. The Fox News chief’s robust stint on the satellite and cable TV channel has seen him grow from an ordinary employee to become the channel’s chief editor of Fox News breaking news section and the host of Shepard Smith Reporting. Smith carried on with his multi-year contract with Fox on March 15, 2018, which of course came with eye-popping figures. It is believed that Smith is worth as much as $25 million. We are yet to substantiate this figure.